EyeCandyINC — "What Being a Plus Size Woman in 2013 Means To Me"
"What Being a Plus Size Woman in 2013 Means To Me"
Hi! My name is Olivia Carter and I saw your contest on instagram, and I just had to enter. Thank you for actually caring about your customers and wanting to help them love themselves. What does being a plus sized woman in 2013 mean to me? As a young woman entering my first years of college in 2009, I was not the most confident. I was always the "fat friend" amongst my group of slim or fit circle of friends. Though they never looked at me that way, that's how I saw myself. Many times going shopping with my friends I never tried on or bought many clothes. I would always tell myself "that won't look right on me," "that shirt is made for skinny people," or " I'm too fat to wear this outfit." Now I'm not the biggest, but I'm far from the smallest. I've never been one to dress up, go out, or be girly. I always thought I was too big for that. I absolutely LOVE to shop, I can throw an outfit together in my mind with ease. I have a very unique taste and I love to try new trends and looks all the time. If I had to, I'd describe my style as vintage, retro, wacky, floral, and out of the box. I love floral prints of all kind, I LOVE harem pants, combat boots are my fav, and I've even opened my mind up to dresses! (I'm not the most girly girl Lol). The older I've become, the more positive influences have entered my life. My sister is a plus sized diva who is slowly helping me embrace my inner dive and curves. I have come out of my box and into my own. In 2013, I have the confidence, the inner Diva, and I know I am beautiful, curves and all. My only problem is that in 2013, I am still in college. And as a college student, I am broke(Lol). Even when I have money, I can't think about my next outfit, I have to buy books, food. and so much more. This is why I love boutiques like EyeCandy. 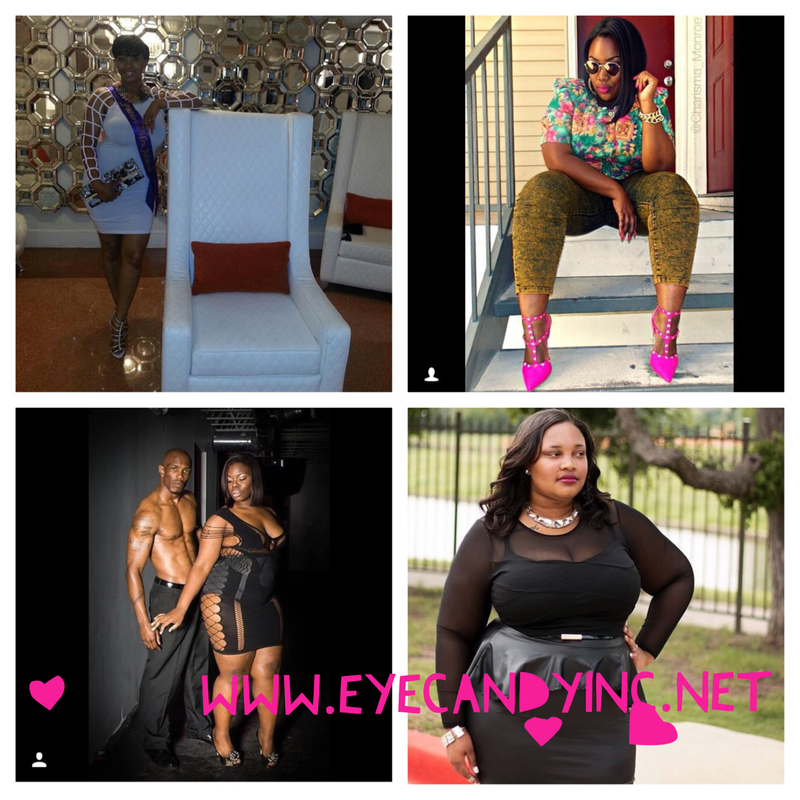 They allow Curvy Divas of all budgets to enjoy high-end fashion at affordable prices. I have spent several days going through your website and instagram page, admiring all the new trends and fashions, showing off your clothing to my friends, and getting my friends hooked on your products. I can't wait until I'm able to place my first order. Your clothing and accessories are beautiful and help bring out the fierceness in all of your loyal plus size women. So what does it mean to be a plus size woman in 2013? It means exuding confidence, loving yourself(curves and all), and being as fierce as you want to be. And the only reason I can say this confidentially is because of all the positive role models and fashionistas pout there to look up to. "What Being a Plus Size Mother Means to You"